Mike Patey's PT6 powered super STOL aircraft - Draco. About 100 aircraft flew in for the 7th Annual Mojave Experimental Fly-In (MEFI). 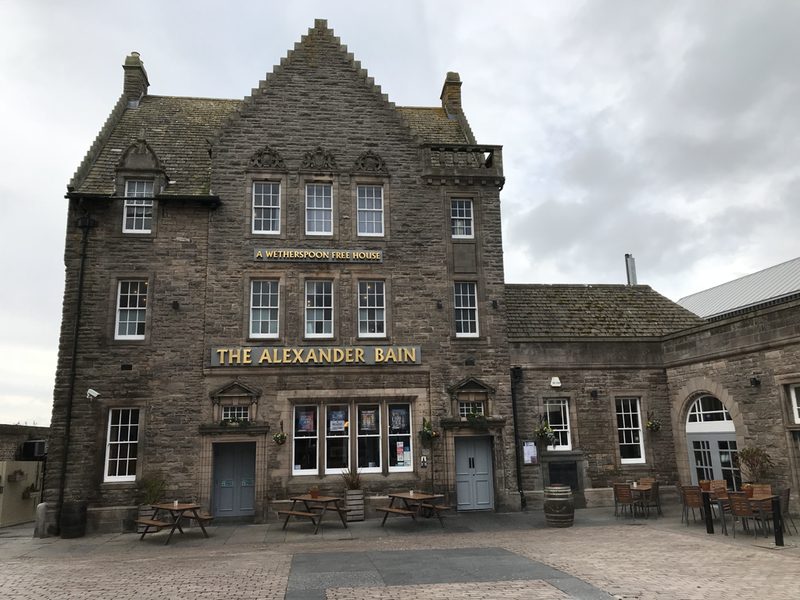 ​I had a great time meeting fellow pilots and walking around this historic airport. Thanks for the award MEFI! Stratolauncher, Voyager, SpaceShipOne, Scaled Composites, Rutan. Unesco world heritage site Petra, Jordan. El Dier ("The Monastery)". Duxford, UK. June 22, 2018. N944JK (RV-9A) and G-GRDV (RV-6) have now both flown around the world; proof that tiny experimental aircraft are capable of very long distance flight. Fuel efficiency was often 26 mpg at 150 mph. All credit goes to Richard van Grunsven and Ken Kruger for designing these remarkably efficient traveling machines. Ed Neffinger prepares to fly from Duxford to Goodwood in a spitfire. Ed assisted me with flight planning and weather analysis on my around the world flight. Thank you Ed. The aircraft is now stripped of the heavy auxiliary fuel tanks, survival equipment, spare parts, tools, and HF radio. Svelte May flies again like an RV! N944JK established multiple national and world records for "speed over a recognized course". The aviation records are ratified by the Federation Aeronautique Internationale/World Sports Federation and National Aeronautics Association. May is now recorded in the "Earthrounders" database which registers planes and crew who have flown around the world in light aircraft. N944JK is the only experimental aircraft to fly around the world in 2018. 2019 Mojave Experimental Fly-In - award for 1st RV-9 to fly around the world. 2000 nautical miles to go! Night flight at 12,500 ft over the eastern Pacific Ocean. I took advantage of the stronger tail winds at higher altitudes but endured temperatures well below freezing. The walls of my cockpit are only 0.040" thick aluminum sheet with no thermal insulation. I am shivering and reminiscent of my passage over the Greenland ice cap. No twinkling stars or lights from aircraft above or ships below can be seen. It is a sensory deprived experience. Every 30 minutes or so the blood red moon occasionally is visible through stratified clouds. My hope of seeing the familiar lights of San Francisco are dashed as the fog bank extends hundreds of miles off the coast. San Francisco radio, my reassuring communications link across the Pacific, is now booming in to my headset as I approach the North American continent. ETA: 3:30 am, California time. I chose to wait, prepare the aircraft, and monitor the forecasts closely for an ideal weather window. 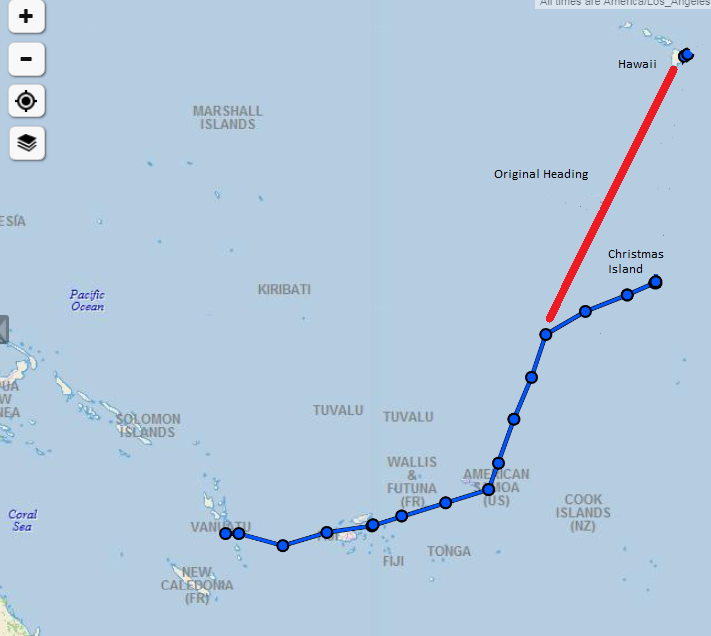 According to Air Services Hawaii (ASH), it is common for ferry pilots to wait up to a month before attempting this route. Thursday (August 30) looked like the best day to attempt the flight and the weather forecast predicted 70% tail winds at 10,000 ft. On Saturday, hurricane Miriam would sweep in from the northeast, disrupting the favorable winds at altitude and block my path towards the California. Thursday morning, after the required agriculture inspection was completed, ASH helped me to load 127 gallons of fuel in to the 5 tanks on board the aircraft. There was barely any room for me to fit inside the cockpit as I was surrounded by fuel tanks. Visibility was blocked to the right of the aircraft as the bulging tanks touched the top of the canopy. I had never flown the aircraft with this much fuel before on board and theoretically it could fly at this gross weight. 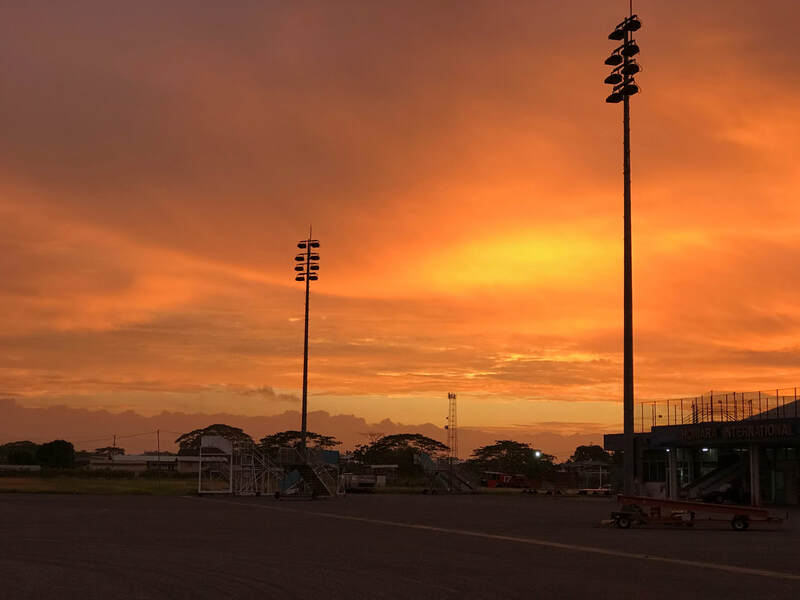 ​PHTO, RWY 8 was chosen as it has 9800 x 150 ft runway. On take-off, the airplane accelerated extremely slowly and used 6000 ft of runway (normally 500 ft) before the plane lifted and cleared ground effect. 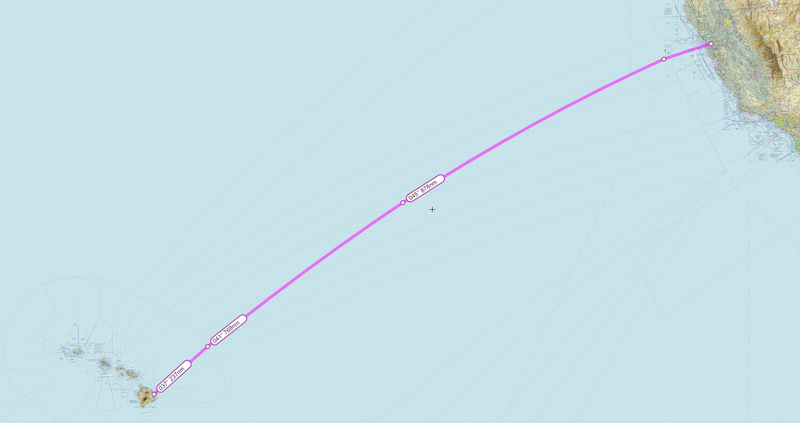 I fought headwinds for 1000 nm and carefully monitored my fuel supply. At the half-way point, the fickle winds changed direction and favorably pushed me towards the fog shrouded California coast. Darkness descended around 9 pm over the Pacific. I flew on for the next 6.5 hours until landing at 3:30 am in Concord, California. The 17 hour journey from Hilo to Oakland/Concord was very exhausting, especially since I had only a few hours of sleep the previous night. 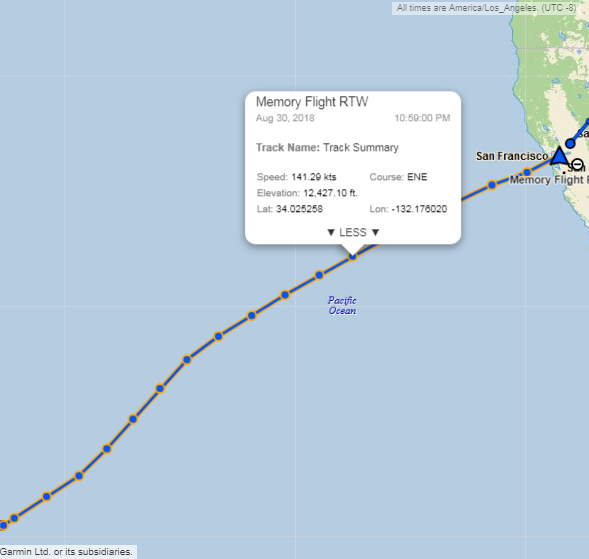 Later on I learned that other pilots, tracking my progress across the Pacific that night, did not get much sleep either. Thanks for your support! After landing, I taxied back to my rented hanger, crawled out of the plane, and kissed the ground. This was truly a trip of a lifetime that I will never forget. Thanks for the "Welcome Home" banner Pete W! 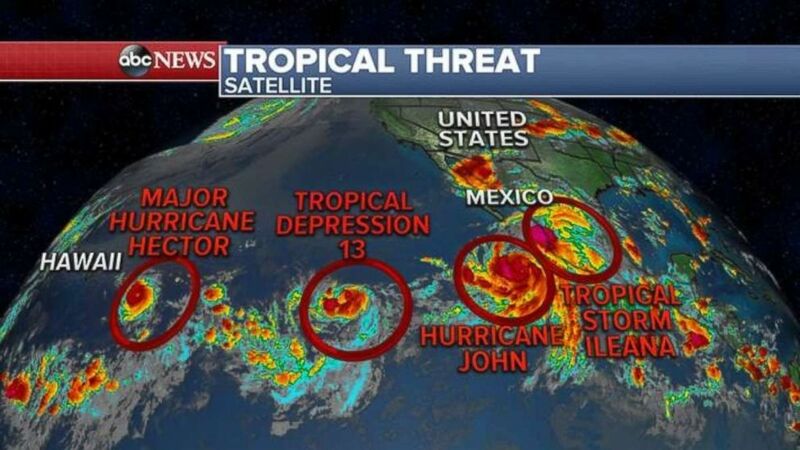 ​​​"May" located in Hilo - Hurricane Number 1 would approach in a few days. The islanders were preparing for the worst. 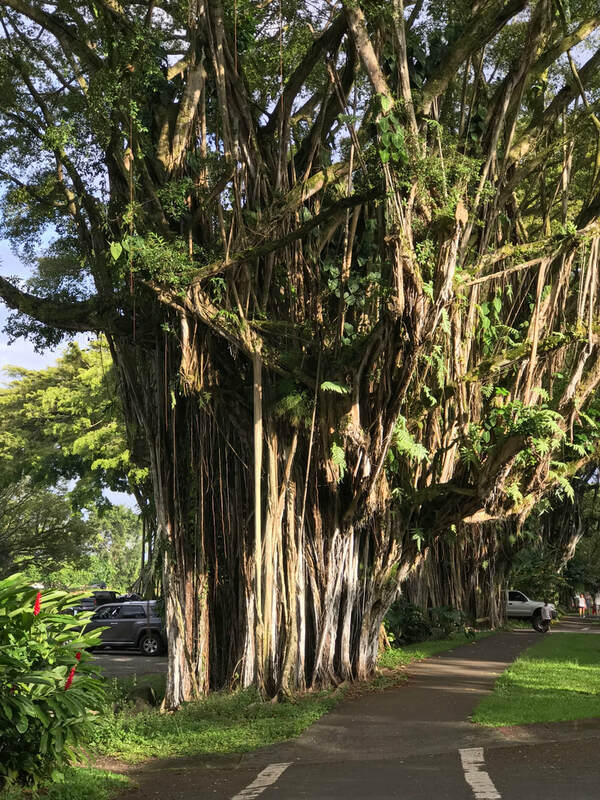 ​Due to concerns of potential damage to the plane from hurricane Hector and Lane at Hilo, I relocated "May" to the island of Maui. Thanks to the Van's Airforce community (Ed, Scott, Eric, and Brad) I was able to secure a hanger at Kahului Airport (PHOG). I decided to fly home commercially, rest and prepare for the final leg of the trip. 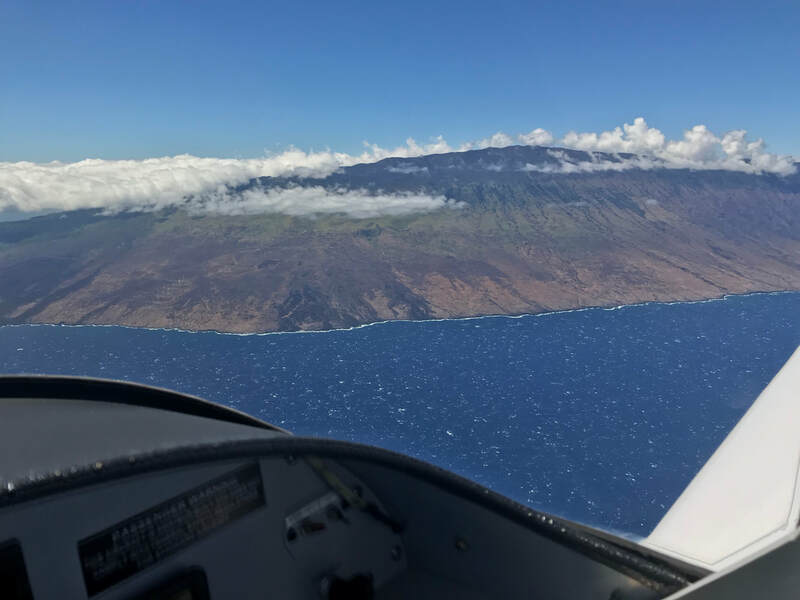 When I return to Hawaii around August 21, I will complete work on the aircraft, fly back to Hilo, and wait for the right moment to fly the 2000+nm to California. 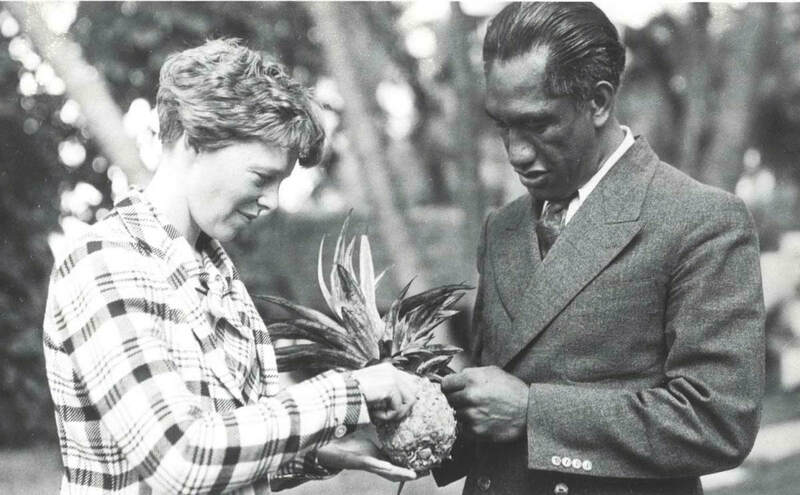 Moments after arrival at Hilo, BIg Island, Hawaii. Air Services Hawaii welcomes me with a lei and a Kona Longboard beer. Mahalo Tommy B! RV-9A ready to fly non-stop to California. Pilot not so confident. 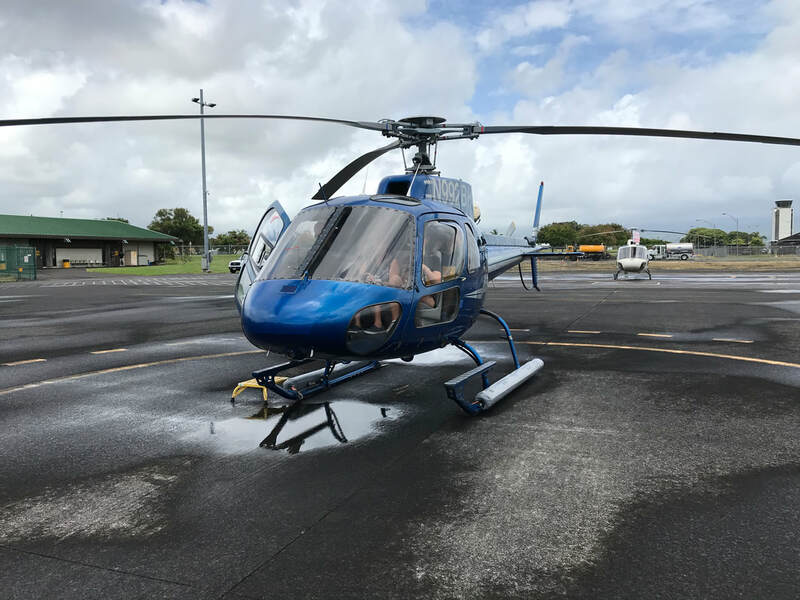 I flew with "Blue Hawaiian" helicopters on a volcano tour over the Big Island. It felt great to relax and let someone else be the captain. 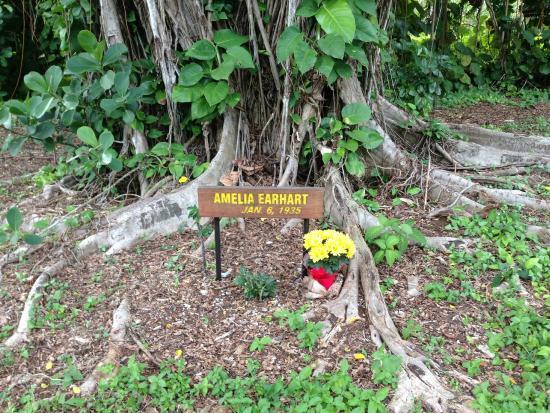 Banyan Drive, known as the "Hilo Walk of Fame", is lined with trees planted by celebrities and adventurers, including pilot Amelia Earhart. 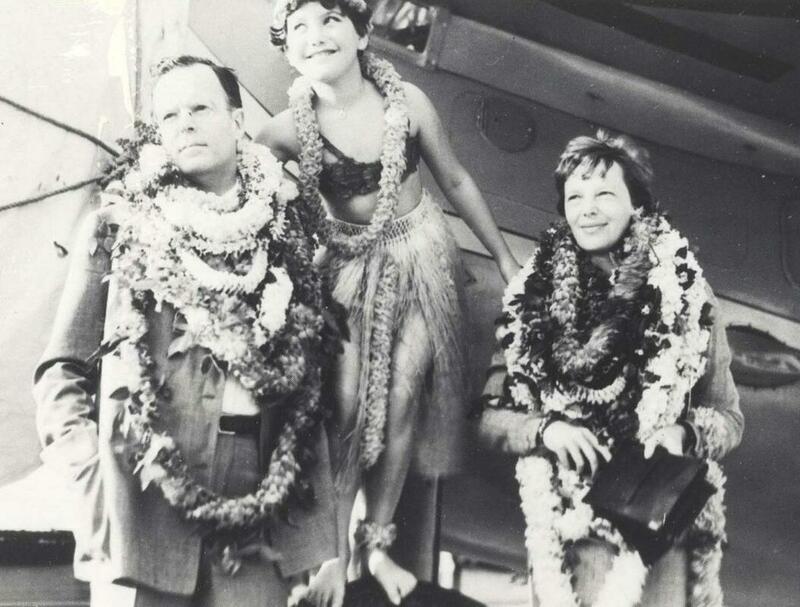 ​Historic photos of aviation in Hawaii. Sunday afternoon entertainment in Hilo. Lava destroyed homes in the Vacationland, Hawaii area. I heard from local sources that none of these homes were insured and FEMA provided no post disaster assistance. Many people are still living out of their cars, months after their homes were destroyed. Crossing the windy strait between the Big Island and Maui. I repositioned "May" to a hanger in Maui due to hurricane Lane and Hector approaching Hilo. 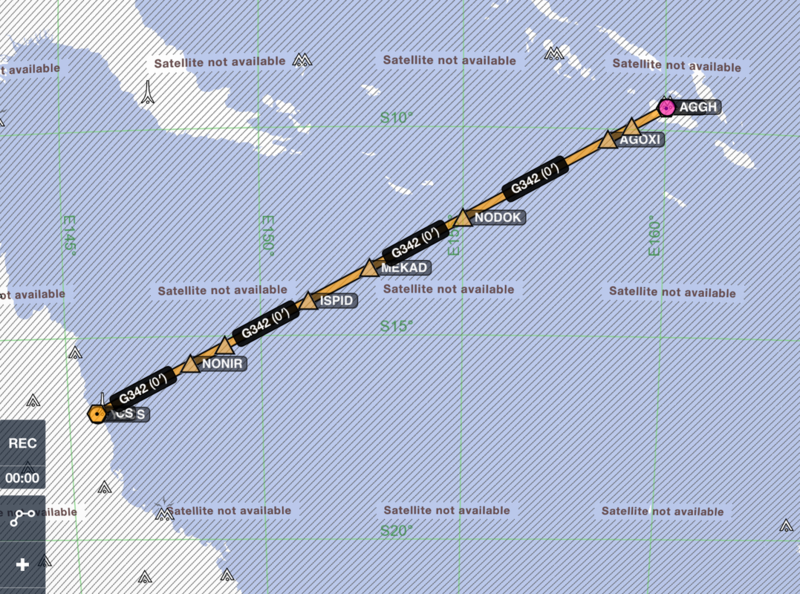 My route through the ITCZ. 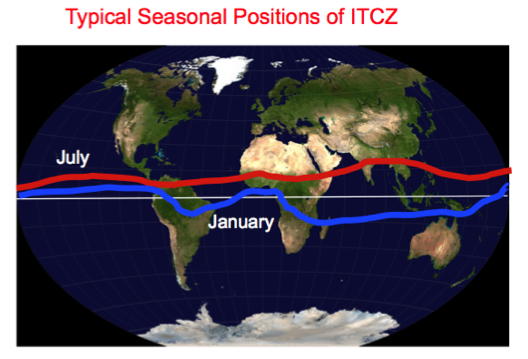 The Intertropical Convergence Zone, or ITCZ, is a belt of low pressure which circles the Earth generally near the equator where the trade winds of the Northern and Southern Hemispheres come together. The area receives the highest amount of heat energy from the sun, which causes moisture to condense quickly in to clouds. The rising air in the ITCZ cause frequent thunderstorms and heavy rainfall. 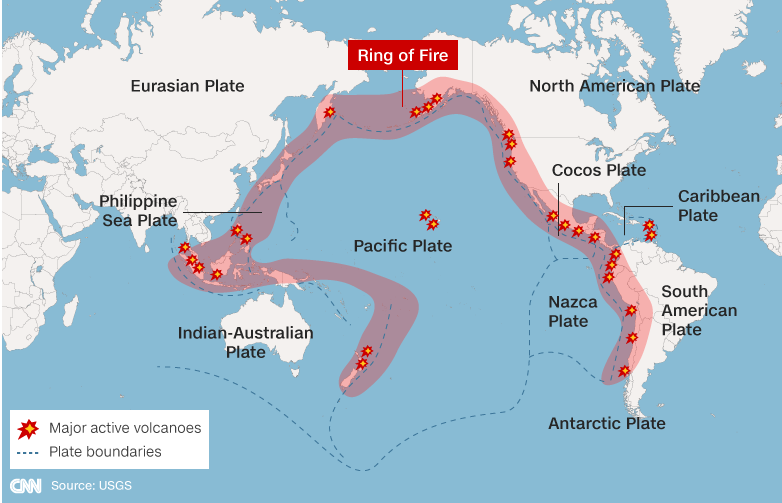 Circular typhoons often form along with the highest recorded winds on the planet. For months I had been dreading the flight through the ITCZ. 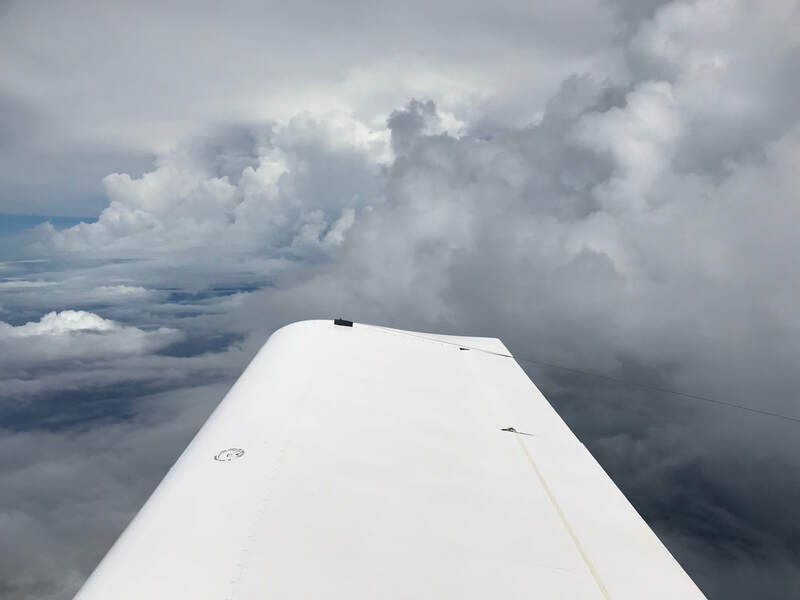 Like mariners facing an unpredictable passage around Cape Horn, pilots face the ITCZ with trepidation as the weather is nearly always stormy. Unlike a jet, which can fly above the weather, "May" would fly from 8,000 to 12,000 ft down in the clouds and unforgiving turbulence. 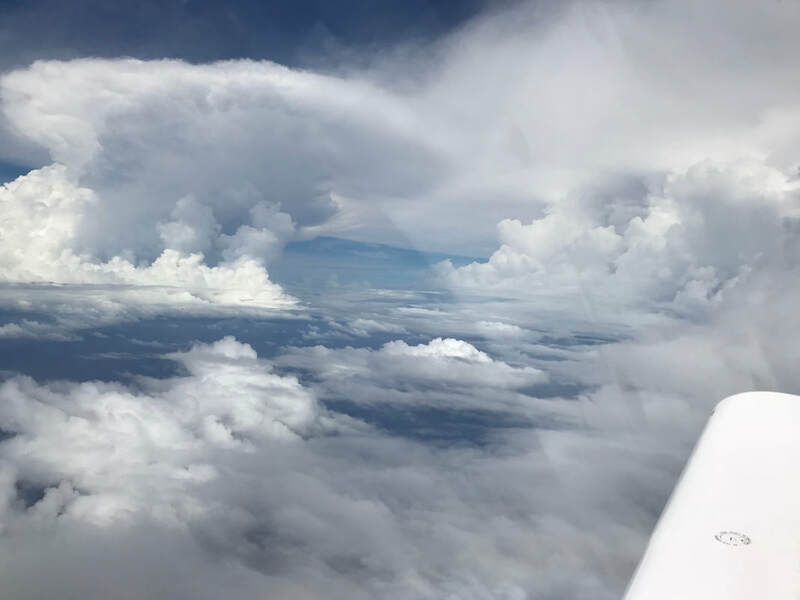 To maximize my chance of success, I decided to fly through the ITCZ only during the daylight hours, so that I could see and avoid the worst of the weather. 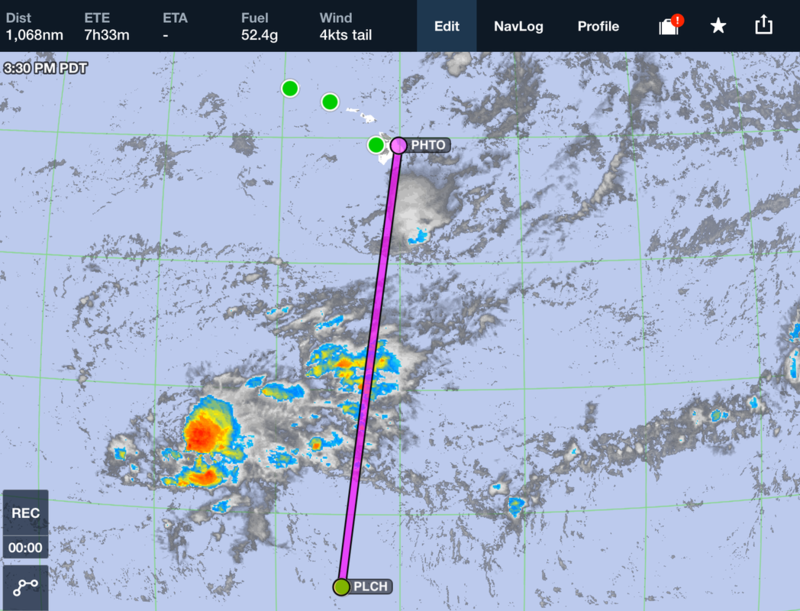 ​Reviewing the satellite weather charts from Christmas Island the night before the flight, suggested that flying just to the left of the 1100 nautical mile direct line path to Hawaii would avoid most of the weather. 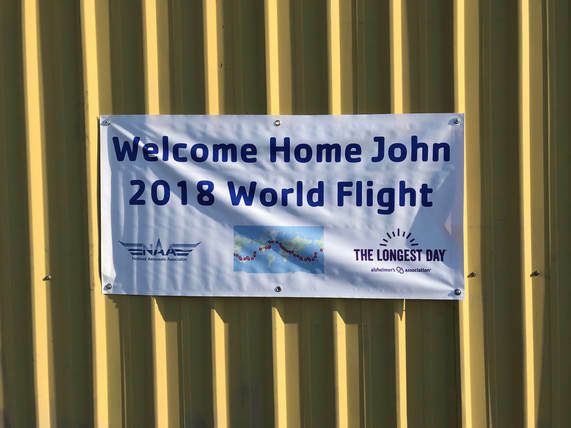 Like previous legs of the around the world flight, my friend Ed Neffinger assisted with weather interpretation and route planning. On the morning of departure, my anxiety level was elevated. I knew that the aircraft was prepared for the flight and I just needed to trust my experience and training. I diverted left of the gps track to avoid the worst of the weather. The experimental HF antenna attached to the wing tip is used to transmit hourly position reports back to San Francisco radio. I built and tested four antenna prototypes before selecting one that maximized radiated power, low SWR, and minimized drag. The HF radio was a used Icom mobile ham radio modified to transmit on aircraft frequencies. I threaded my way through the towering CB's, like a giant three dimensional slalom course. The pucker factor was high on this leg of the trip. This photo captures what it is like to fly over the vast Pacific ocean in a small plane. 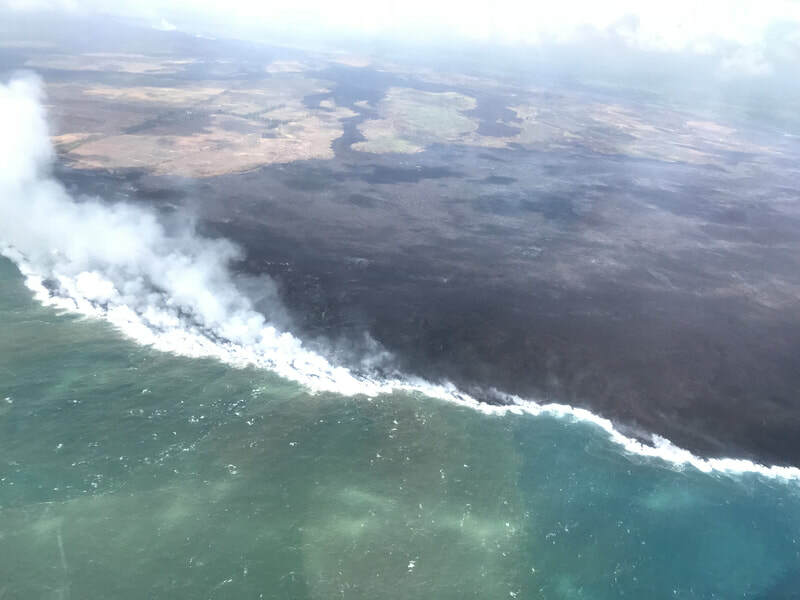 ​The entire Big Island looked on fire 100 miles out from Hilo. 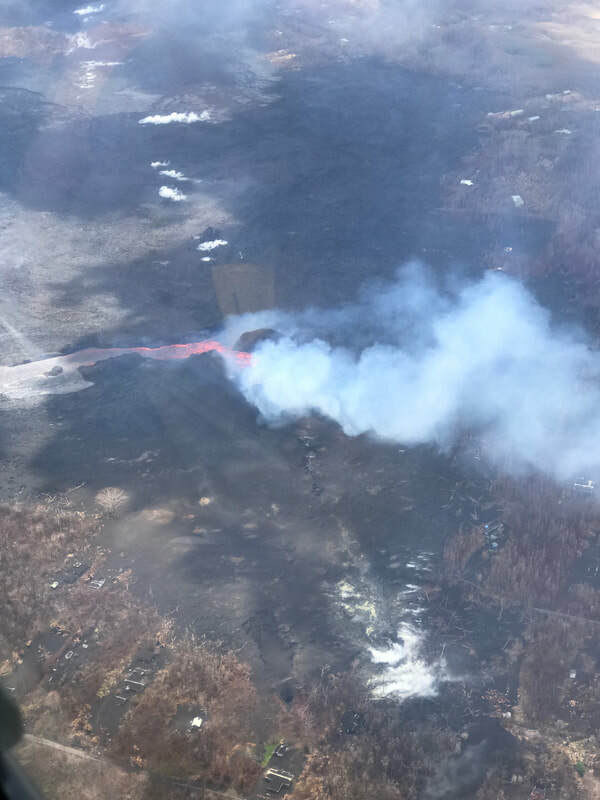 Steam rose 25,000 feet in to the atmosphere due to the torrent of magma pouring in the ocean from the Kilauea volcano . 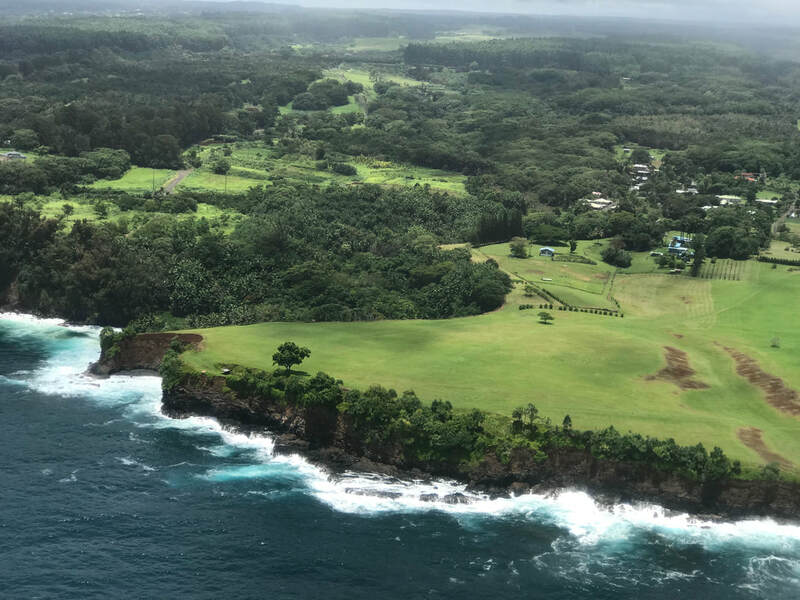 I passed through the ITCZ unscathed and landed at Hilo prior to the arrival of hurricane Hector. 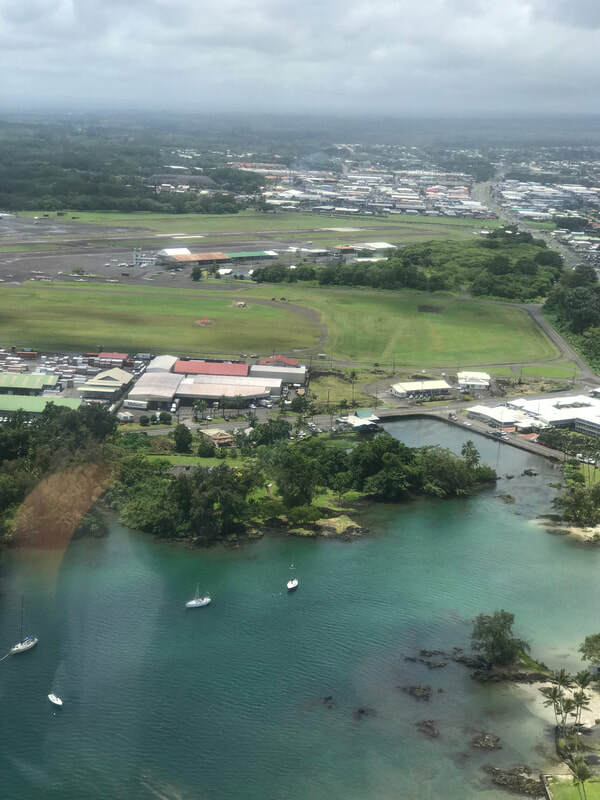 American Samoa - AVGAS $31 USD/gallon! After two days of relaxing and strolling around scenic Port Vila, I headed to the airport at 5:30am. The very professional airport manager arranged customs, fee payment, and fueling for me very quickly. I was given permission to startup the engine and obtained my clearance. I gave a thumbs up to my new friends as I taxied between the tightly spaced aircraft to the run-up area. The airport was quickly coming to life and I was fortunate to be one of the first aircraft granted permission to take-off. 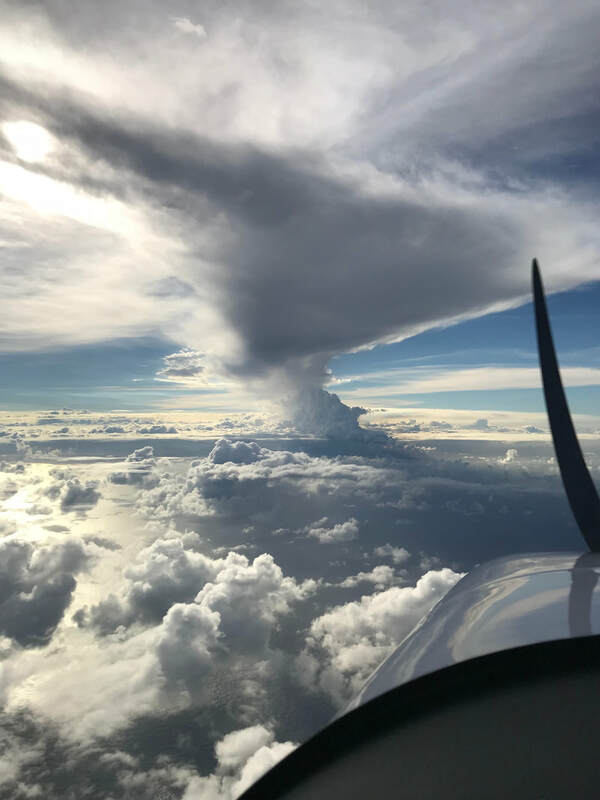 At 9000 ft and 50 miles off the coast of Vanuatu, I diverted south in a giant arc to avoid another volcanic plume which had drifted south-east from Vanuatu. 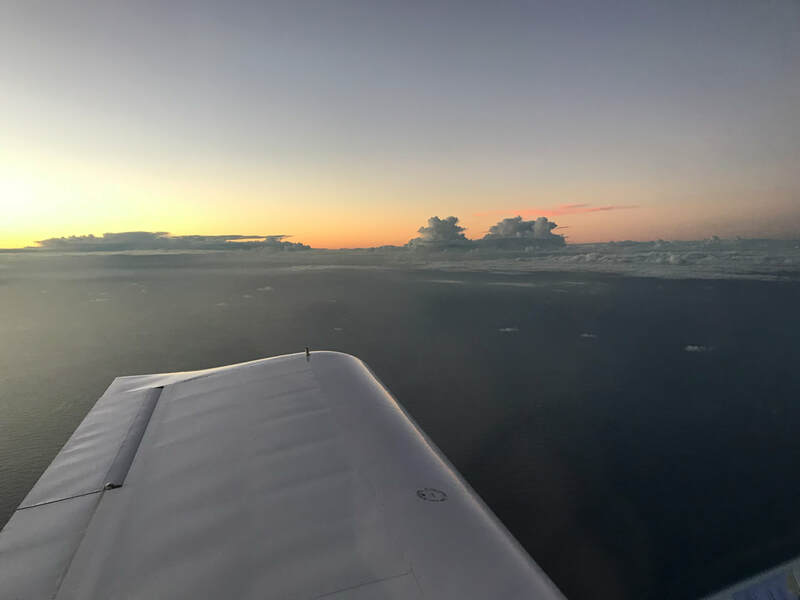 During trip planning, I was warned of the $3000 landing/parking fees at Nadi, Fiji, so I bypassed the island and continued east between cloud layers towards American Samoa. I was disappointed to not see the many tropical Fijian islands below me. 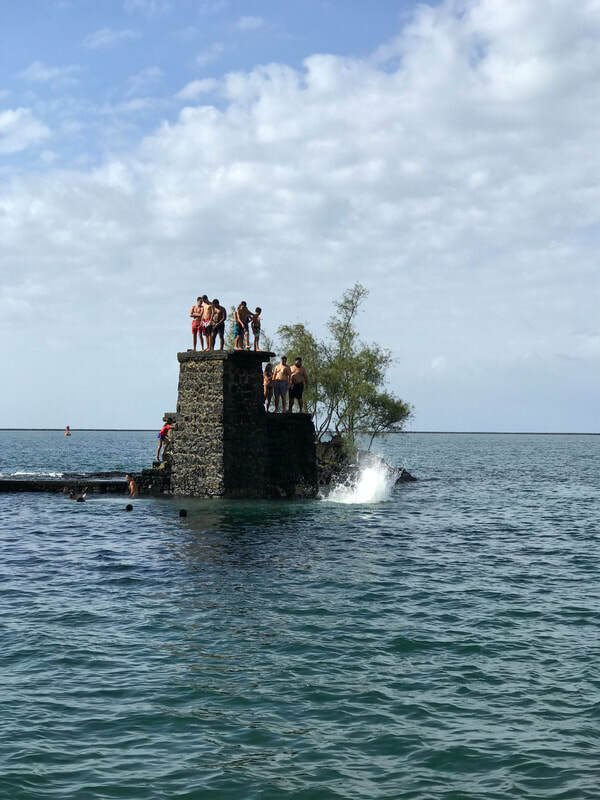 I crossed over Bligh Water, made famous when cannibalistic local Fijian tribes chased Captain Bligh through this passage in 1789. Fuel consumption notes. Approaching overcast Viti Levu, Fiji. The sun drops quickly down toward the horizon near the equator. Explanation. 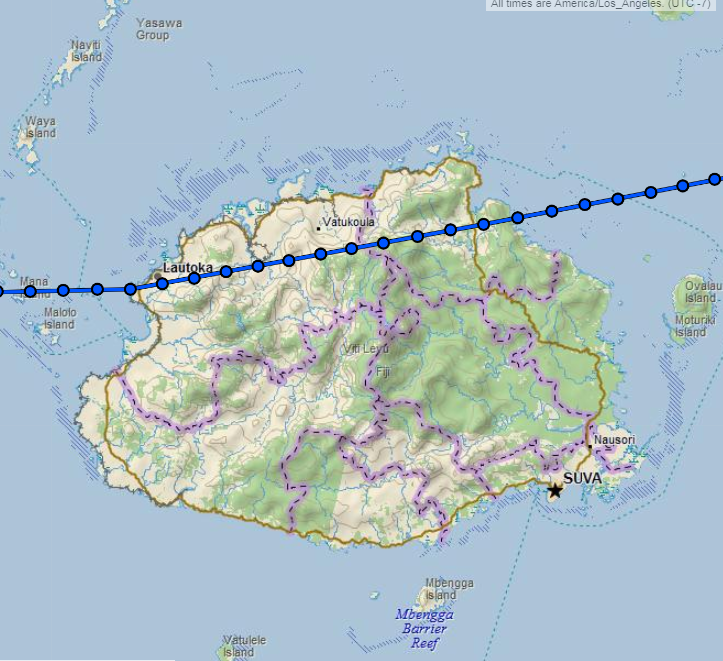 On approach to Pago Pago, I requested ATC to switch on the airport landing lights. To my horror, my landing/taxi lighting illuminated hundreds of frogs crawling over the 10,000 ft runway. I worried about a frog prop strike and reduced braking. It was a miracle I did not run over any as they panicked and hopped out of the way of my rapidly slowing aircraft. 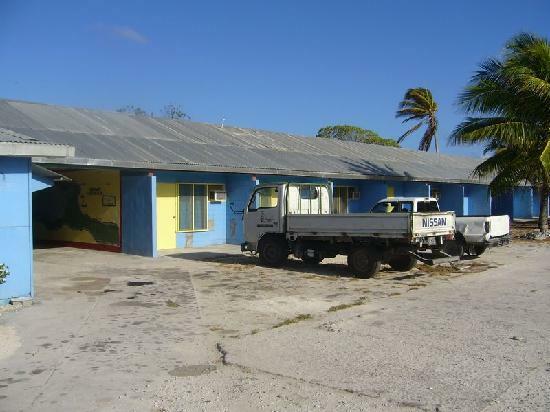 Remote Pago Pago, American Samoa. Precipitation on Rainmaker mountain in the background exceeds 200 inches (5 m) a year. 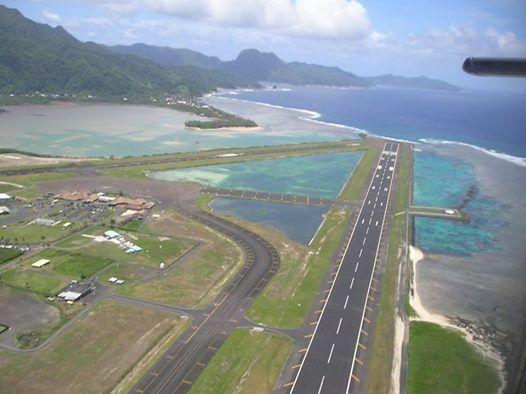 The 10,000 ft runway at NSTU, Pago Pago, American Samoa. Upon landing at Pago Pago, I was informed my reserved AVGAS was not available. I needed to scramble to find an alternative fuel source unless I wanted to remain in surprisingly expensive American Samoa for months awaiting fuel shipped from overseas. 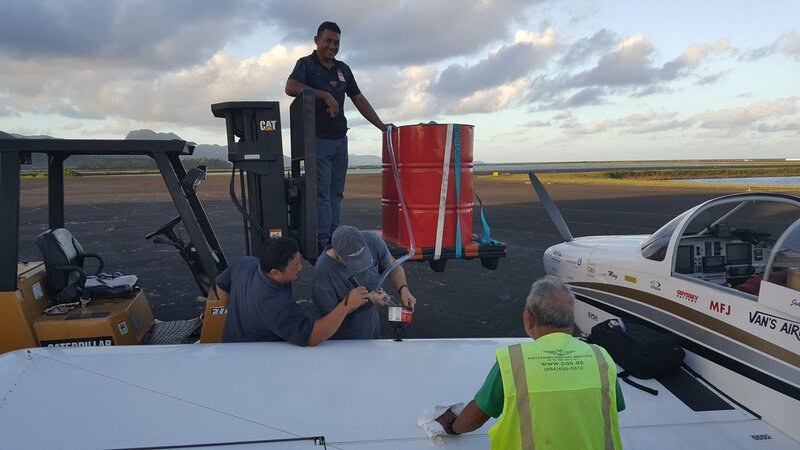 The only other fuel supplier in American Samoa sold me 110 gallons of questionable AVGAS for $31/gallon. I was in a predicament, felt ripped-off, and my budget was completely blown. 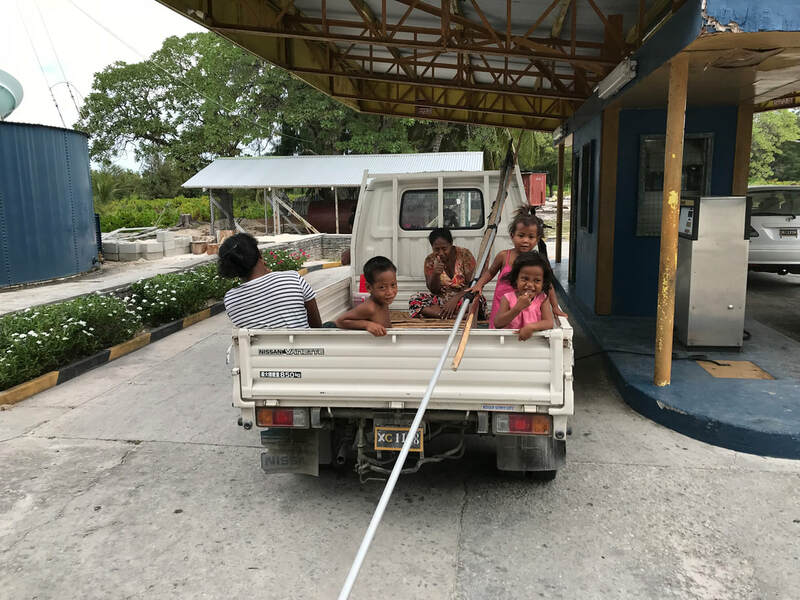 Due to the uncooperative nature of the primary fueler, we were not allowed to use their pump located at the airport. 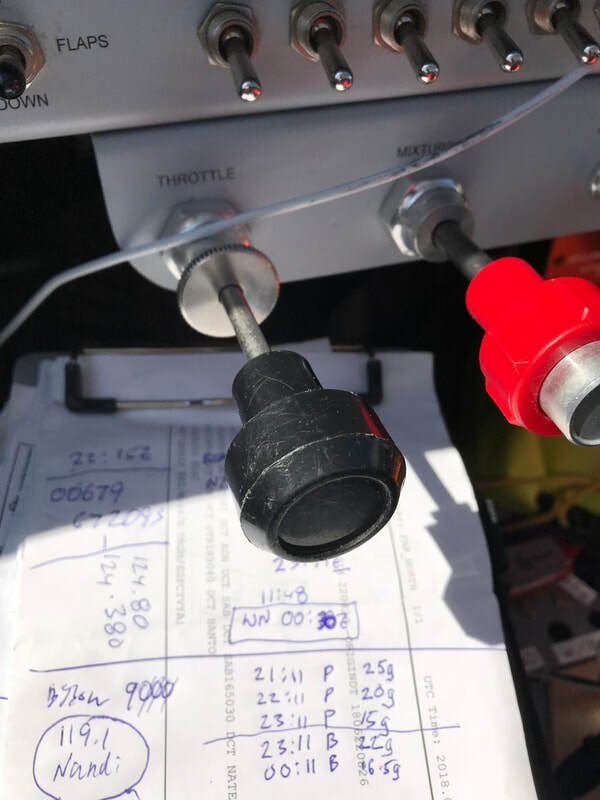 With the extraordinary assistance of Prichard Airport Services , 110 gallons of AVGAS was slowly siphoned in to the aircraft tanks using a fork lift, Baja fuel filter, and 1" vinyl tube bought that afternoon at Ace Hardware. The three hour messy ordeal required re-priming fuel multiple times without the use of a manual fuel transfer pump. I opted to not to use auto fuel as it had not been tested with my engine and fuel delivery system. One can only take such setbacks in stride and consider them part of the adventure. 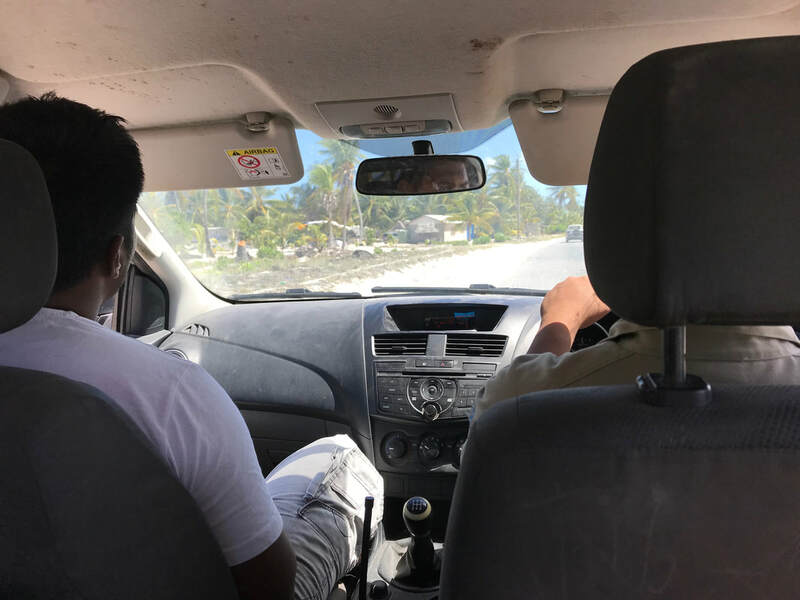 Solomon Islands to Port Vila, Vanuatu. Hard IFR departure, rain, and overcast skies for the entire flight. Starburst fruit chews and bottled water sustained me until touch down at Port Vila. 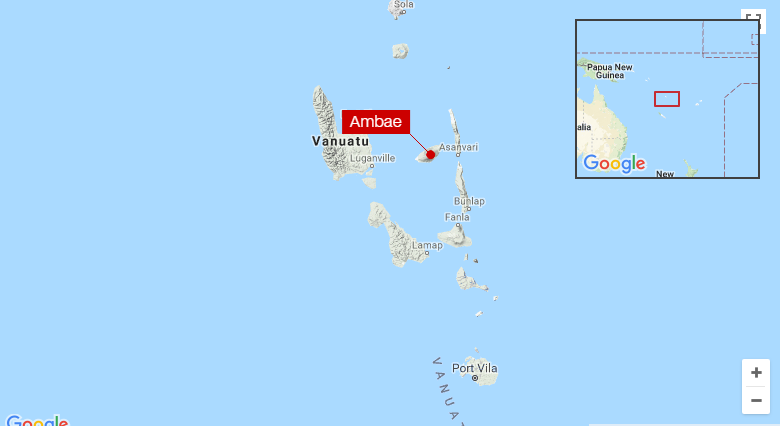 The flight off the west coast of Vanuatu required a diversion around the Ambae volcanic plume. The grey-brown colored plume was visible at my flight level and extended well off the coast line. I did not take chances with ash clogging the air filter and engine. 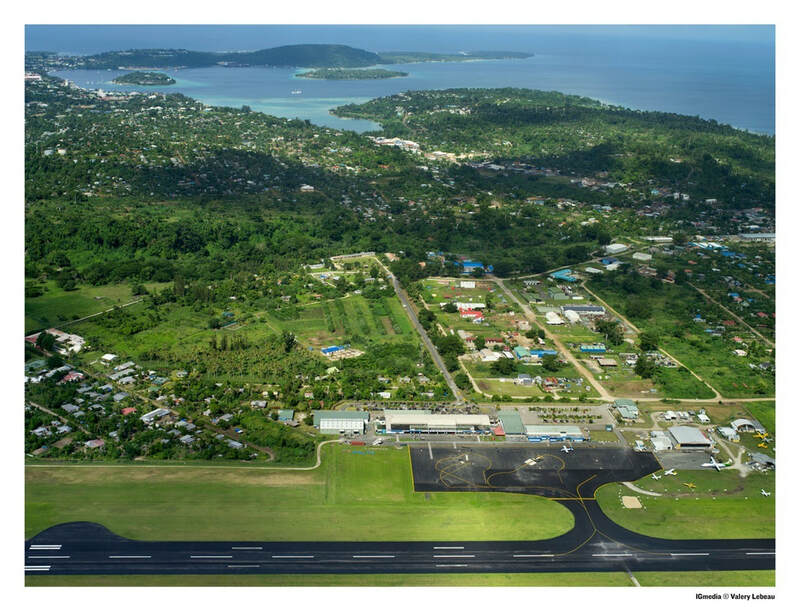 My destination, Port Vila airport (NVVV), has a single runway and very compact terminal area. Because of the limited parking area, flight schedules are tightly controlled and ground staff constantly choreograph aircraft movement. 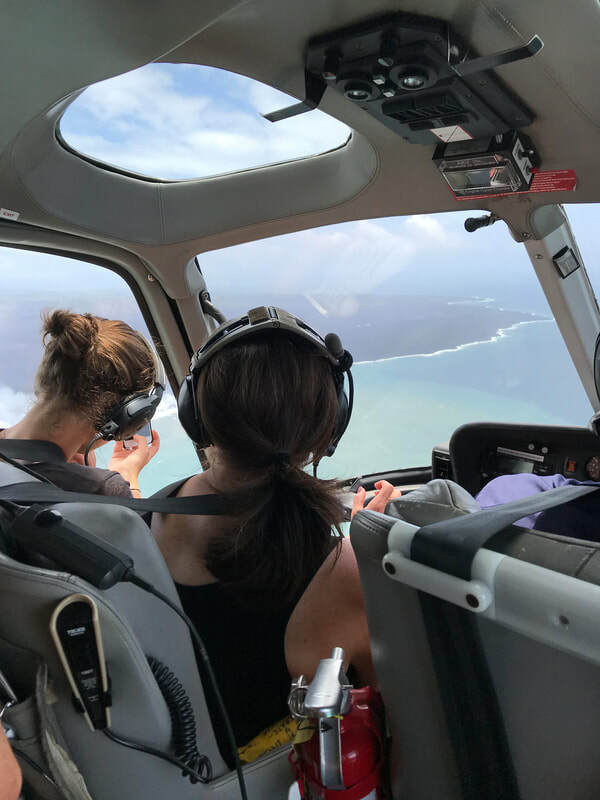 Many operators based at Port Vila fly to Tanna Island for overnight volcano tours. At the end of each day, the terminal area is packed with planes both on the pavement and grass overflow areas. May was tucked way in a corner, adjacent to the operations office and out of harms way. 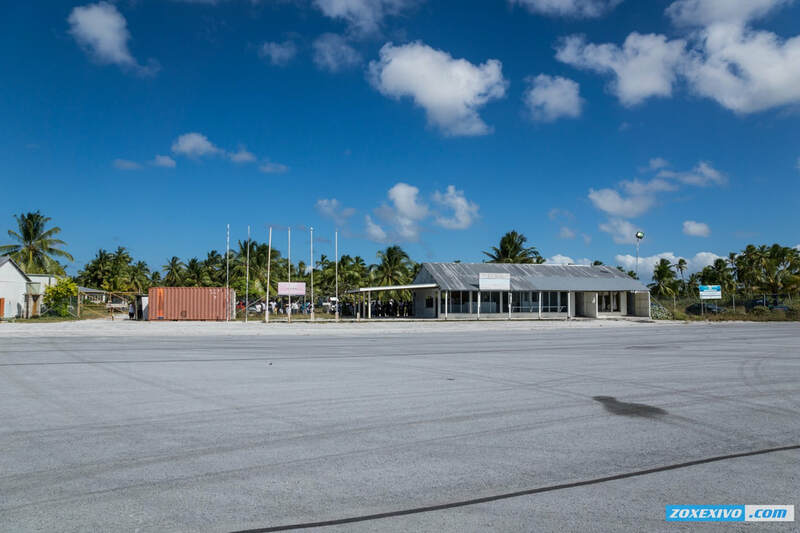 The ground staff and pilots at Port Vila were the most enthusiastic I experienced on my trip. May received considerable attention and photos, and I was asked many questions regarding the trip and modifications to the RV-9A for long range flying. 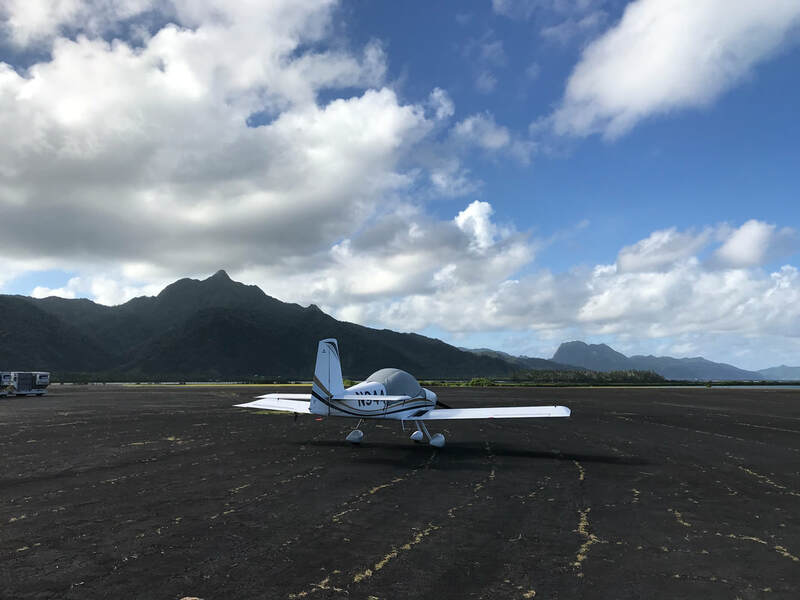 The last known experimental aircraft to land in Vanuatu (Luganville, Espiritu Santo) was B-KOO, Hank Cheng's RV-8, on his around the world trip in 2016. 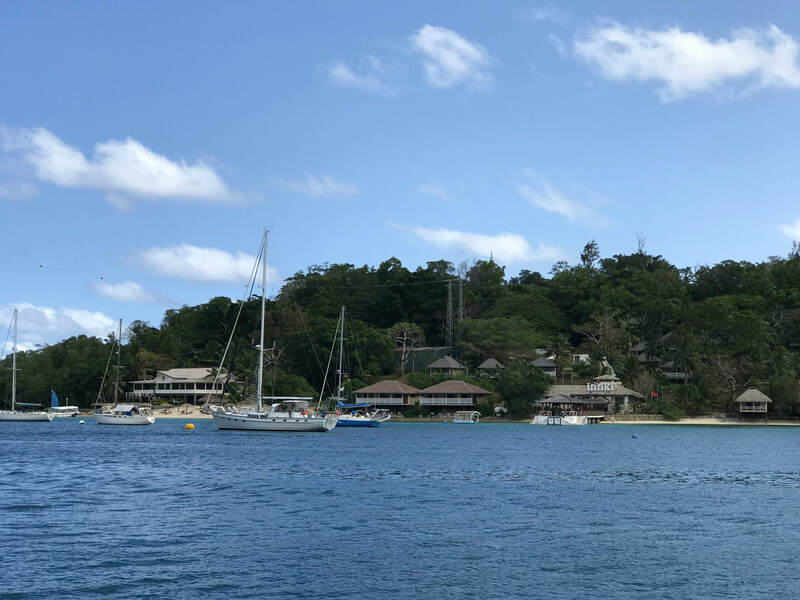 Beautiful Port Vila harbor, Vanuatu. Mt. Yasur on the island of Tanna is one of the most accessible volcanoes in the world. Brave hikers can experience an active volcano from the crater rim and occasionally dodge lava bombs. I did not have time to see the volcano, but will return to Vanuatu someday for this incredible experience. 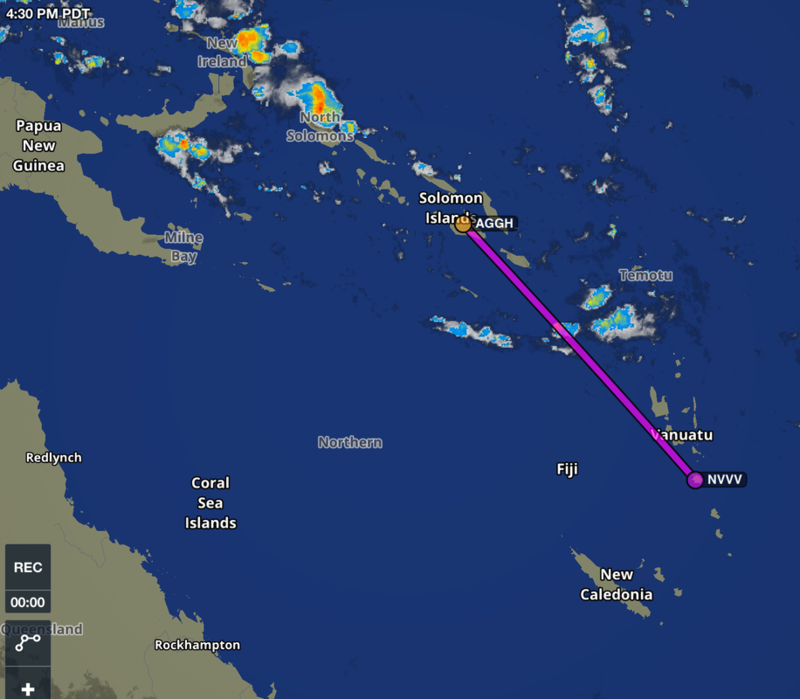 After crossing the bone-dry outback of Australia, N944JK heads north-east across the Coral sea to Henderson Field on the island of Guadalcanal (Solomon Islands). 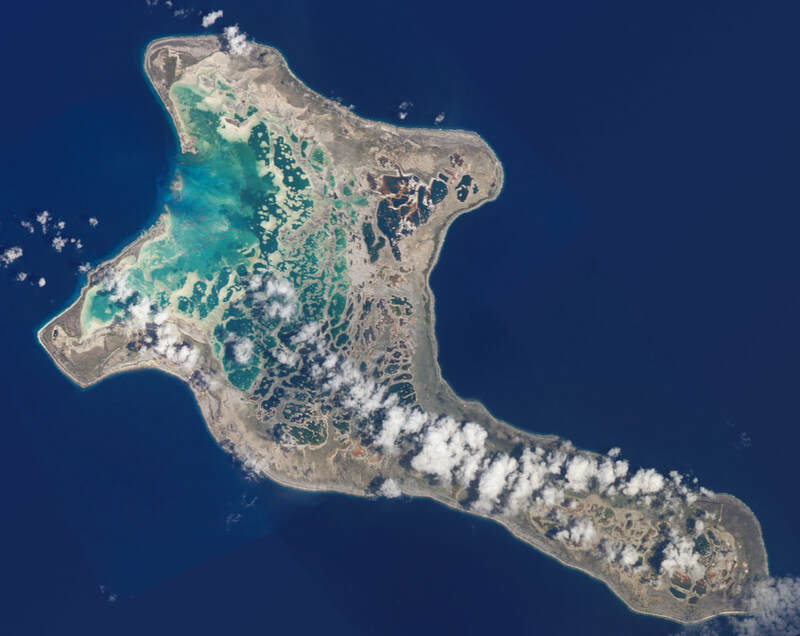 Most RTW pilots on the classic central pacific route fly from Australia to New Caledonia or Norfok Island, then on to Nadi (Fiji), Pago Pago (American Samoa ), Kiribati (Christmas) (Kiribati), Hilo (Hawaii), Santa Barbara or Monterey ( California). 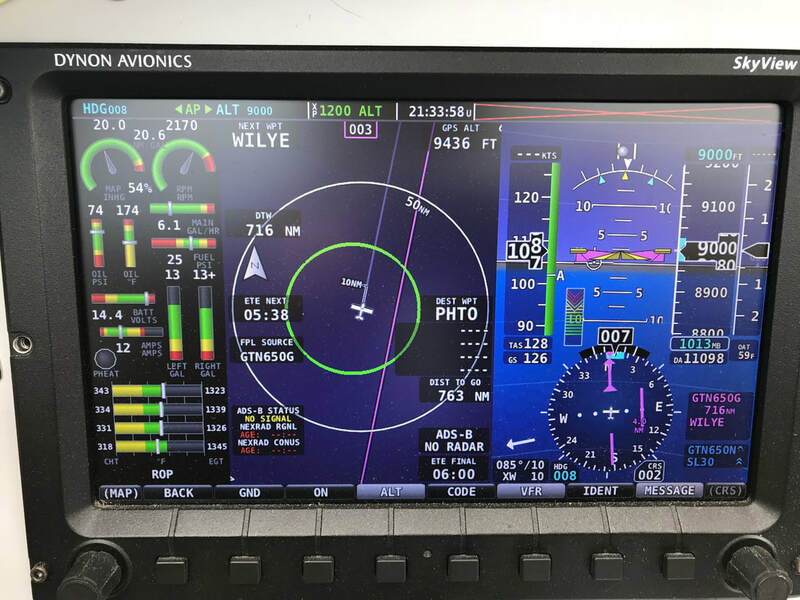 Waypoints are used for navigation and position reporting. 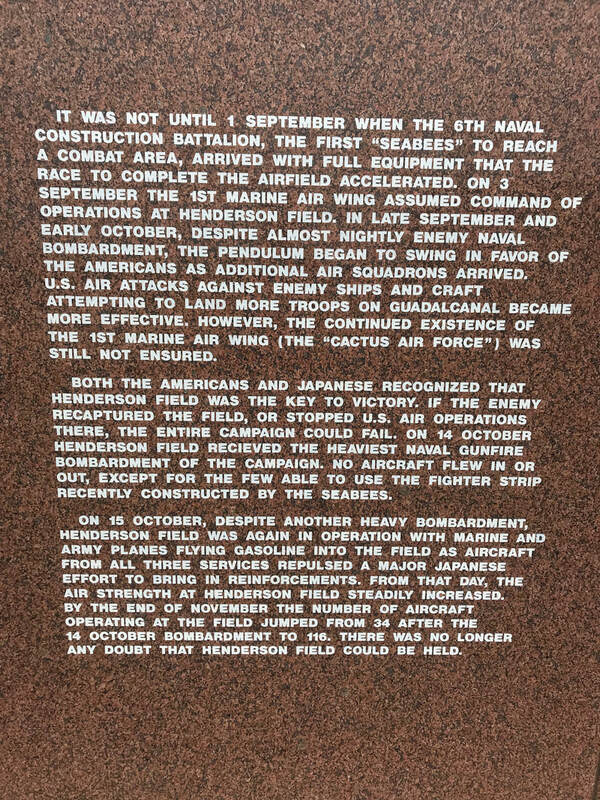 I wanted to experience flying over the area hotly contested between the Japanese and American airmen during the early part of WWII and possibly see a few war artifacts remaining on the ground. Approaching the Solomon islands from the south-west, I encountered layers of clouds which obscured the 9000 ft peaks of Guadalcanal. 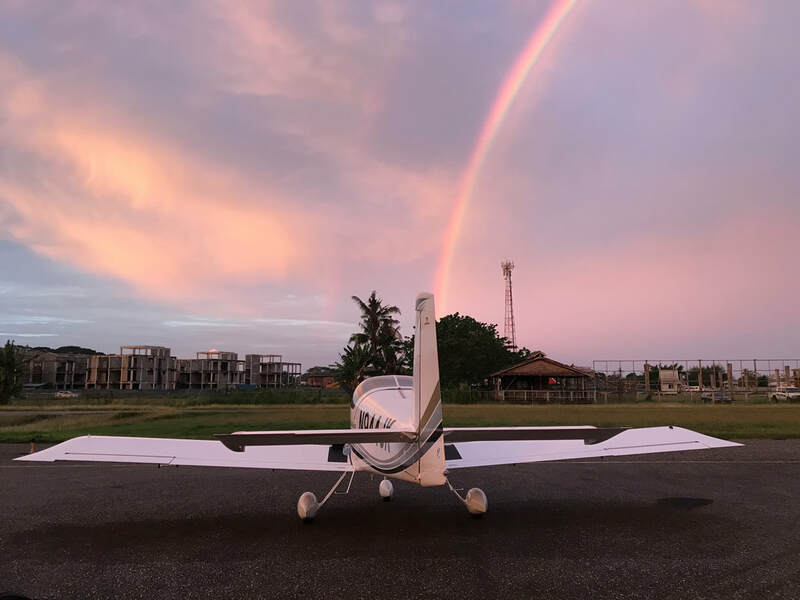 This photo was taken after a bumpy descent through a rainstorm and landing on the mist obscured, shortened runway of Henderson Field. 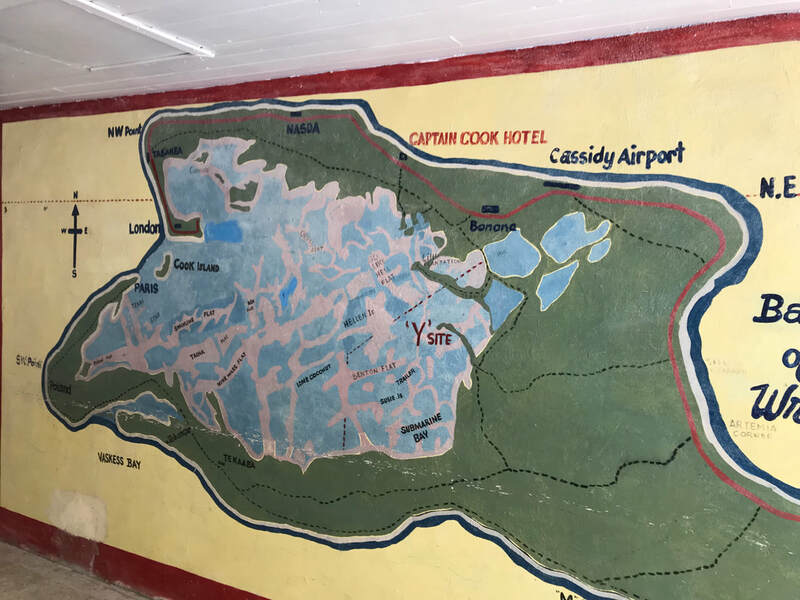 42 years after watching "Black Sheep Squadron" on TV as a youngster, and subsequently reading about military operations in the area, I finally visited the Solomon Islands. The 100% humidity and swarming mosquitoes were the first to greet me. My handler showed up much later at the nearly abandoned airport. A perfect sunset after landing at historic Henderson field. ​This airport is really off the beaten path and very few general aviation pilots ever visit. 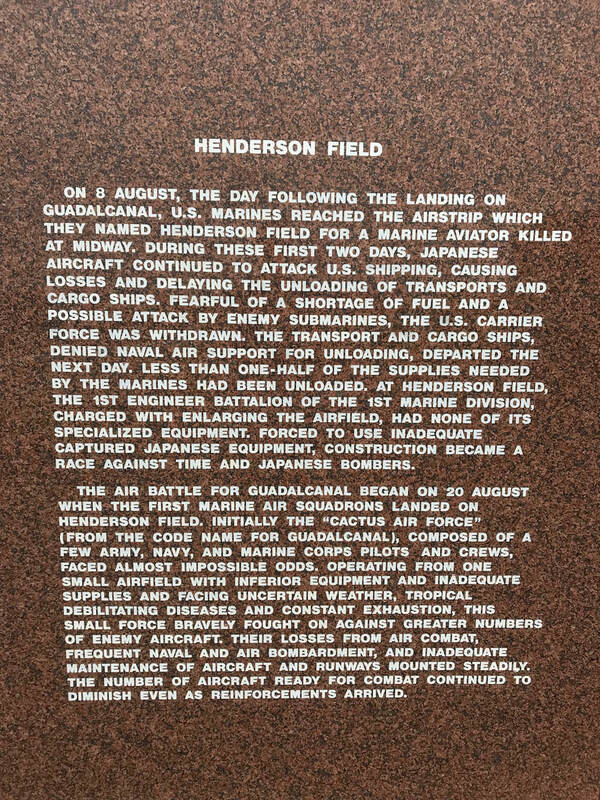 Henderson field, 1942. 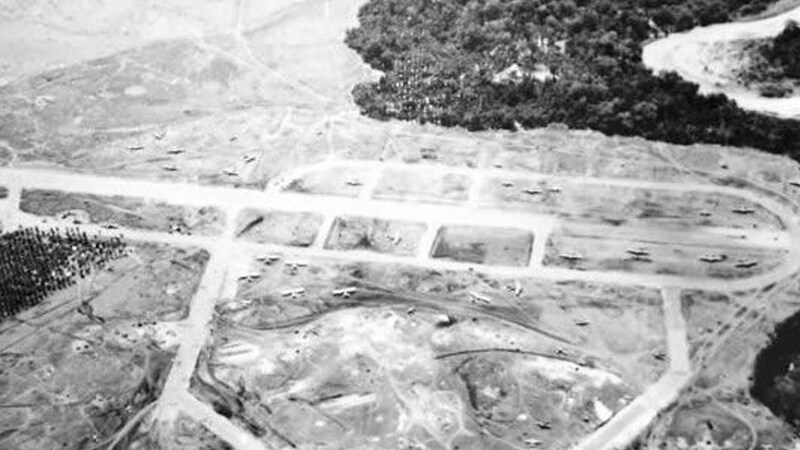 American war planes of the "Cactus" air force are dispersed around the frequently bombed air strip. Exceptionally rough conditions in which to service aircraft. 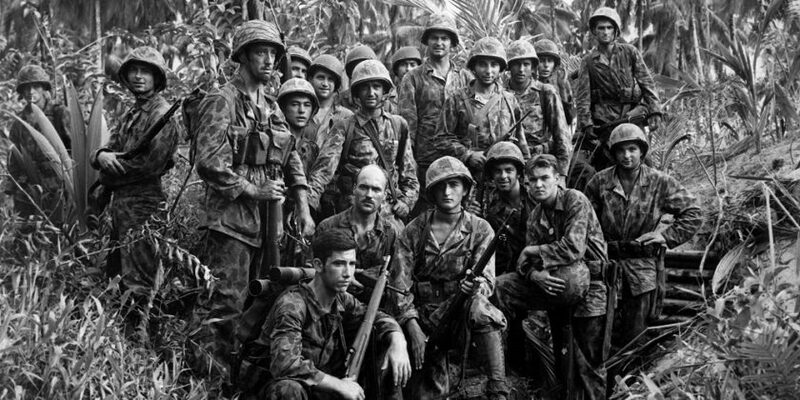 I can't imagine the hardship these tough marines encountered while fighting the Japanese on Guadalcanal. 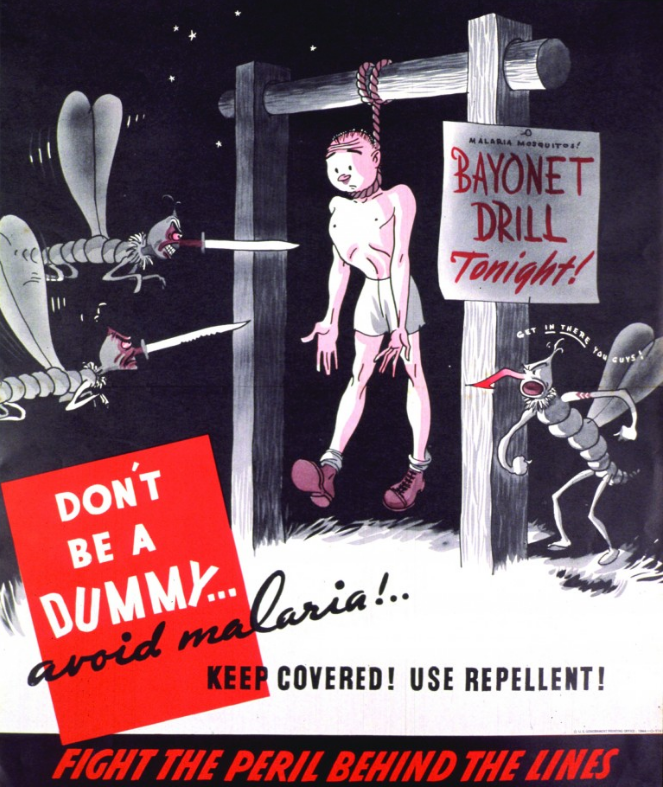 During WWII, the US military produced a series of posters and comics as part of a propaganda campaign against Malaria. 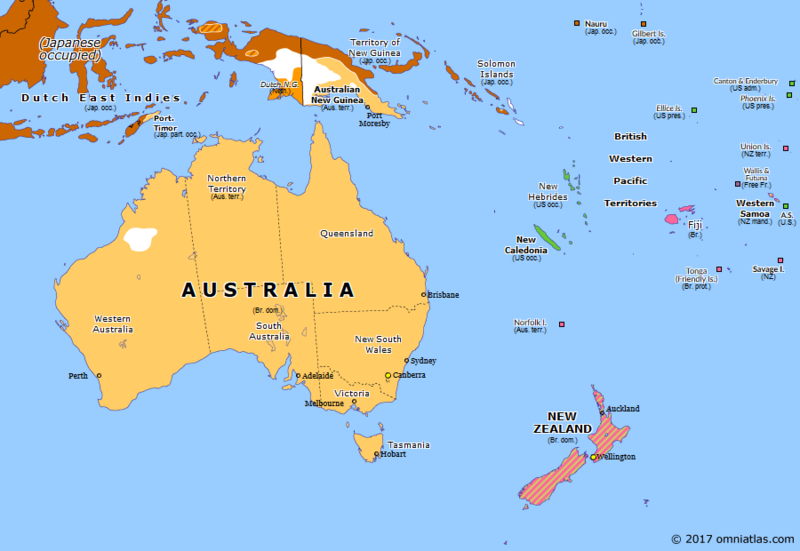 According to the CDC, the Solomon Islands rank "highest" risk for contracting Malaria. After 48 hours of exploring Honiara and swatting mosquitoes continuously, I abandoned the island. ​My IFR departure from Henderson field was at pilot discretion. I climbed up out over Iron Bottom sound in to the thick clouds and turned left over the island of Guadalcanal. 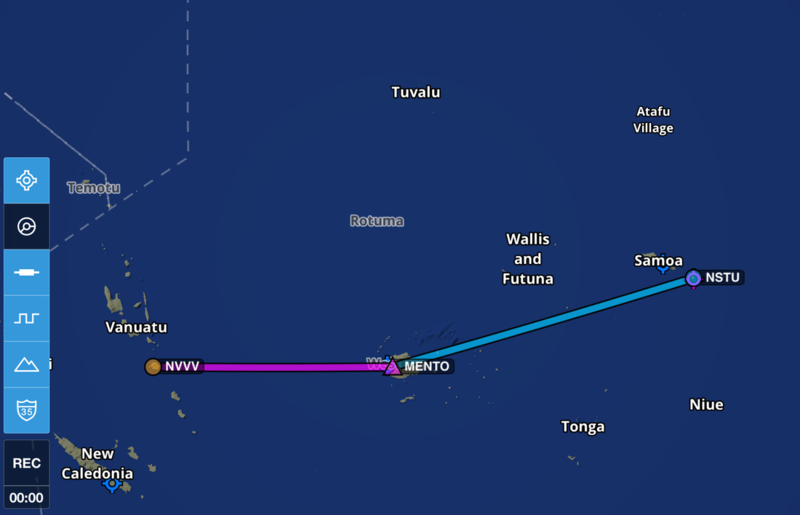 No Mitsubishi A6M "zeros" challenged me to a dog fight as I headed south-east toward Vanuatu. 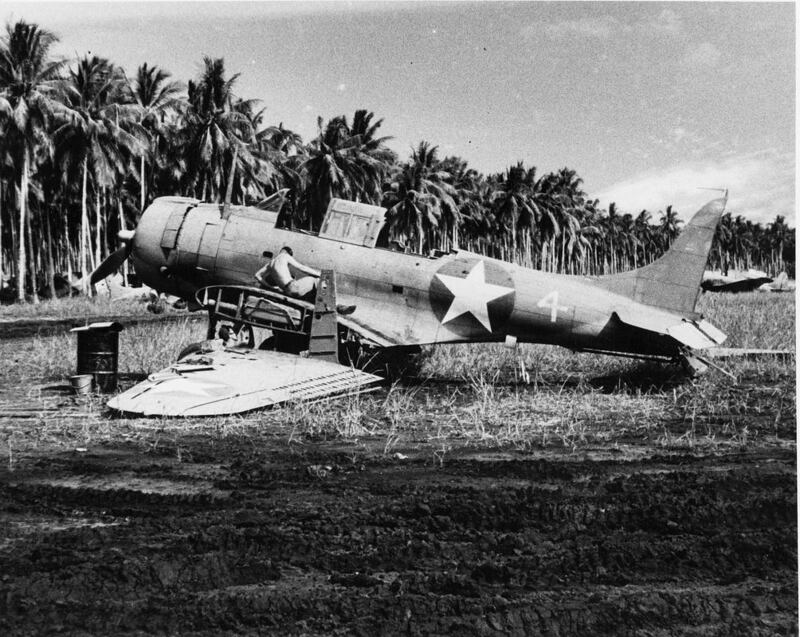 A tribute to VMF 214, Blacksheep squadron and Pappy Boyington.